When it comes to fishing, enthusiasts know that the right rod, reel and bait make all the difference in the world. Likewise, using the best POP display ideas is a great way to “reel in” your customers. 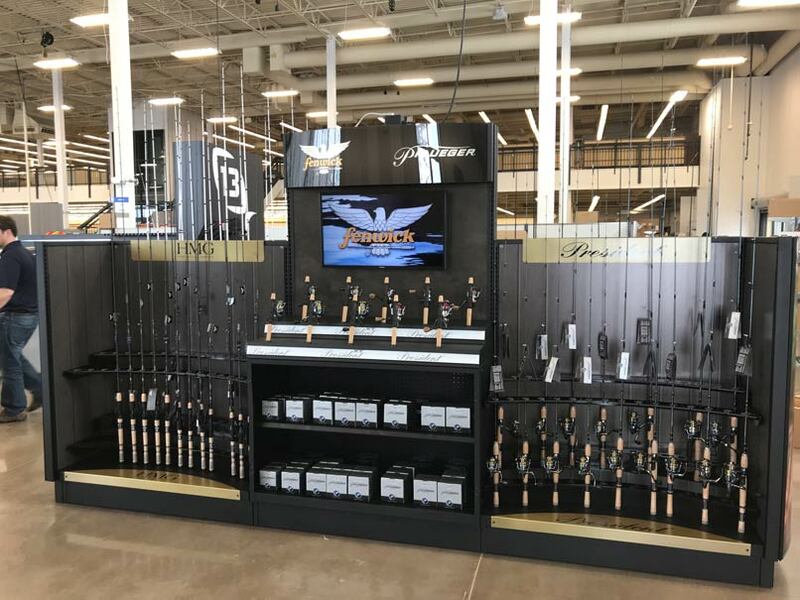 So when Pure Fishing came to us for a POP display for the new Gander Outdoors stores, we were thrilled to be able to work with them. Pure Fishing is a global provider of an extensive variety of fishing equipment, including tackle, rods, reels and lures. It has operations in 19 countries and features a workforce conversant in 28 different languages. We created a two-sided display to showcase a variety of fishing rods and reels. The size of this unit was 4 feet wide x 13 ½” feet long x 7 feet tall. 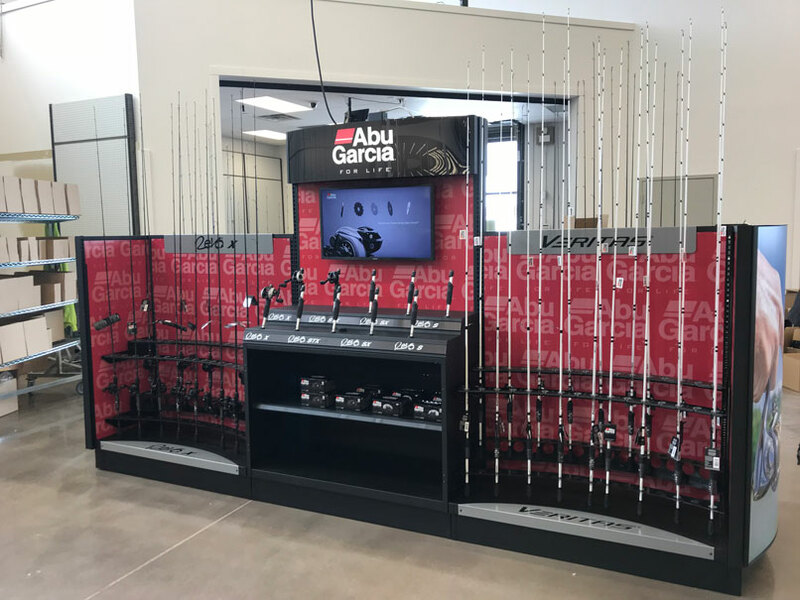 It was essential that this display have versatility, so we crafted it so one side displays the Fenwick rods and the other side displays the Abu Garcia brand. We created a lighted header, two 32-inch displays and vinyl lettering that complemented the other large graphic panels. But in order to make a sale, customers have to be able to experience your product. This helps establish an emotional connection that often results in a purchase. This is why we cut down the fishing rods and attached them to the product. We attached customer-supplied reels to them. This created a perfect “try me” section the center of the POP display. We also knew the importance of protecting the product, so the curved sections have foam inserts to protect the rods. We created a custom-built crate for shipping these products, which arrived at the stores mostly assembled to aid the in-store installation. One of the advantages of working with us is that we can easily accommodate any size run you need. For example, our work for Pure Fishing was a smaller run done in 25 stores thus far. We don’t consider any job too large or two small. We focus on harnessing your best POP display ideas into a solid vision that will increase sales, improve your bottom line and help solidify you as a leader in your industry.